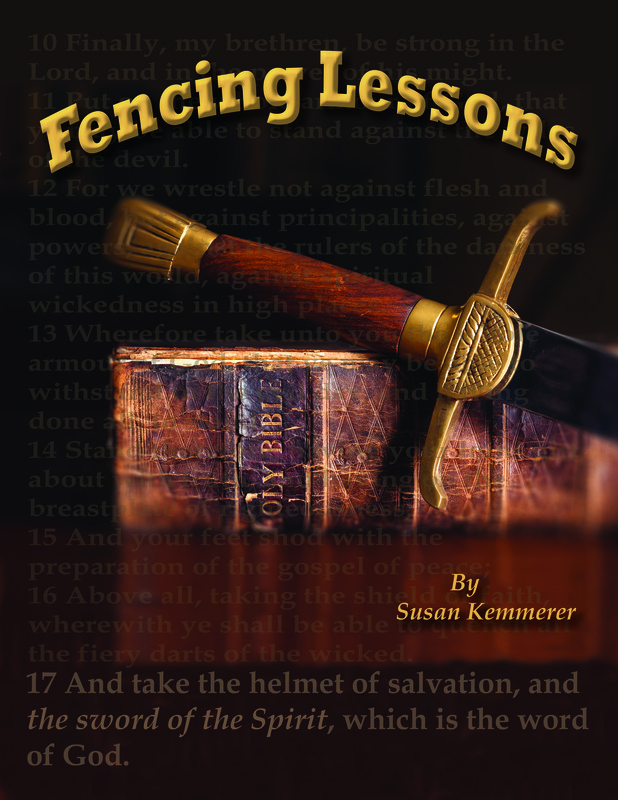 Fencing Lessons is a powerful new bible curriculum for young teens! Fencing Lessons student workbook is a bible curriculum for students in grades 5-10. It is designed to teach the student to love the Bible and to use it effectively in his or her own life. Fencing Lessons (9780983465737) student workbook is an exciting new bible curriculum designed to help your student grow to love and depend on his/her Bible for all life's answers and dilemmas, big and small. We are so excited to bring this new bible curriculum to you! 1. Sword Drill is a simple exercise to help your student not only memorize the books of the bible (for quick and easy access), but also to help him/her learn a little about each book. 2. Sword Play exercises are puzzles, riddles, word searches, and quizzes that use God’s Word. As your students play the games and solves the puzzles, they are becoming more familiar with God’s Word, helping them to hide His Word in their hearts. 3. Fencing Practice is a short Bible study based on a particular passage (the same passage used in the Sword Play exercise). 4. Thrust and Parry is the most important part of the lesson. It teaches the student to apply God’s Word to his/her own life, so he’s not like the man in James 1:23 who looks in the mirror, then forgets what he’s seen. I’ve attempted to phrase all the questions throughout Fencing Lessons in such a way that your students will be able to answer them regardless of the version of the Bible they use. I specifically used ESV and KJV in creating Fencing Lessons, but also consulted other translations as well to verify that your students should be able to answer the questions and solve the puzzles regardless of the version they use. Fencing Lessons can easily be adapted for use as a family devotional with the Fencing Lessons Family Devotional (coming soon). A note about answers: I would encourage you to allow your student easy access to the answer key. Fencing Lessons shouldn’t be stressful to your student, only fun and challenging. If a puzzle isn’t making sense or a riddle is too hard after looking up the scripture, allow them to look up the answer. He/she will still be familiarized with and learn God’s Word. 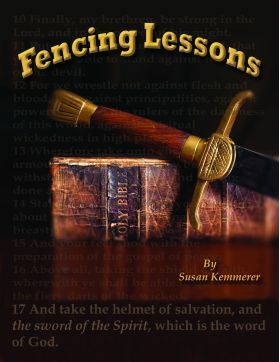 A note about doctrine: Fencing Lessons focuses on basic tenets of Christian faith: the infallibility of the Word of our triune God, the effect of sin on all men through Adam and the need of all men to be saved, salvation by grace through faith in the atoning work of Jesus alone, the reality of a final judgment followed by heaven or hell, and so on. All lessons are brief enough to allow you, the parent or teacher, to flesh out the lessons to fit with your church’s teaching on a particular doctrine. I pray this study will impact your students’ lives for His Kingdom and for His glory.